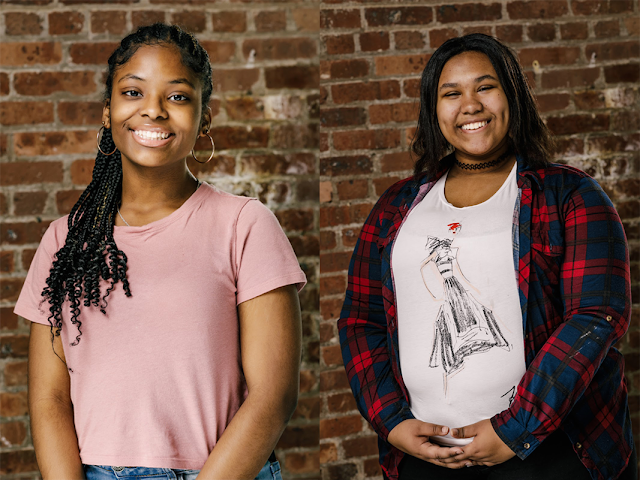 Meet Akeena Hall and Daniella Billini Rodriguez—best friends and two of the students in Google's Code Next program in Harlem. Code Next is a free computer science education program that meets Black and Latinx high school students in their own communities. Today, Akeena and Daniella joined us to discuss the impact friends and community can have when learning how to code and what it’s really like to be a young woman interested in coding. What got you interested in computer science and coding? Akeena: I didn’t know anything about computer science until I was in sixth grade. I went to the school Daniella was previously going to, Bronx Community Charter School. It was really interesting to me because it was something I wasn’t exposed to before. It was something that stuck to me. I was in Girls Who Code sixth through seventh grade, and then I started getting more involved in technology and robotics. Daniella: I started when I was in third grade. When Akeena came to my school in sixth grade, I was already involved [in computer science]. I’d like to thank my technology teacher — we started off with Blocky, an hour of code, and then Google CS First. I really liked the way she taught CS. It was fun to create something of my own. What does support look like to the both of you? How do you support one another? Akeena: If I don’t know how to do something, but it’s Daniella’s strong suit or Daniella doesn’t know how to do something and it's my strong suit — we help each other. It’s basically a balance of skills and characteristics, learning in diversity. At Code Next we laugh together, but it’s because we’re a community. If we didn't feel safe to have a group chat, we couldn’t do this. It’s all about being able to share the same interests and be comfortable. Daniella: AND be weird with each other! Akeena: We’re very weird, and it’s so cool. I’ve never been exposed to such a weird, intelligent group of people before. I feel like community is a bunch of people who share common ground, common interests, and who support each other in different ways. Daniella: We have each other. If I don’t get something — I’ll ask one of my peers. And when people need help, they’ll come to me or I’ll go up and do the problem on the board so they can see what I’m actually doing. I think that’s what support looks like. How does it feel being young women in computer science? 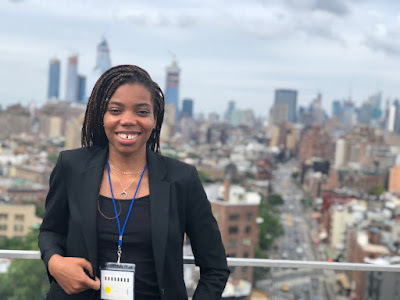 Akeena: When I was told girls were underrepresented in the technology field, I didn’t feel a certain way because I was always involved in communities that were so inclusive. But then I got to high school, and the first day of school I realized that 71% of our school are males. I started to realize how many girls were in the room. It empowered me to do other things. Akeena: I just recently started a club, where we’re bringing the limited amount of girls in our school together and empowering each other by sharing and learning from our own experiences. I was taught to be a facilitator by Girls Inc. and brought it to my school with other friends. Akeena: I want people to know that I take education seriously. I really fought to have the education I have and to just be able to be in the environment I'm in. Not to toot my own horn, but, Toot Toot! Daniella: I definitely agree. I take my education very seriously and it’s one thing I don't really play around with. Daniella: I really love the ocean. I’m very much a humanitarian. I really want to be a marine biologist, but I might want to become a computer scientist. Akeena: Honestly, when people ask me, I don’t even know what to say because I don't think there’s a stop to what I want to and could do. I do want to be a computer scientist, but I was thinking about starting a curriculum for girls who want to get involved in the technology field. I don’t know. I just want to do so many things! Looking for a coding community of your own? Learn about how to get involved with Code Next and continue following @GoogleStudents on Facebook, Twitter, Instagram, and YouTube to connect with other code-happy individuals! This entry was posted in Student Blog and tagged Education, students on April 10, 2019 by Google Students. Yesterday in Detroit, Michigan the 45th annual National Society of Black Engineers (NSBE) convention kicked off. Today marks the beginning of arguably the biggest event of the week … the annual career fair. Googlers are currently on the ground and ready to meet the 12,000+ attendees. 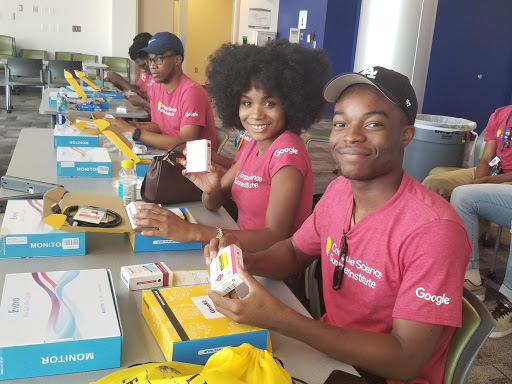 Embracing this year’s theme, NSBE 45: Explore, Engineer, Elevate., Googlers attending #NSBE45 (many of whom previously attended NSBE conventions as students) offered their advice to students and aspiring technologists tackling the career fair for the first time. Note: All Googlers interviewed or pictured below will be on the ground over the next few days — so if you're at #NSBE45, be sure to drop by our booth and say hi. We'd love to meet you! What would you encourage someone to do to make the most of their time at the convention? What career advice do you have for aspiring technologists who will be attending the conference? 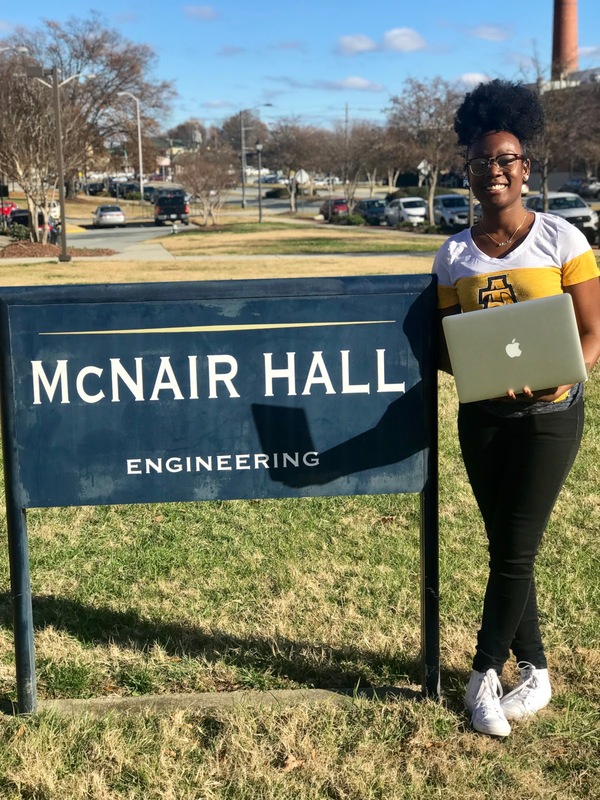 Why is attending NSBE meaningful to you? Even if you're not at #NSBE45 we hope you can apply some of this advice to your next career fair, convention, or conference. Follow along as we go behind the scenes at #NSBE45 including at the upcoming hackathon in our Detroit office Mar 29-30 : Twitter, Facebook, and Instagram. This entry was posted in Student Blog and tagged Education, students on March 28, 2019 by Google Students. 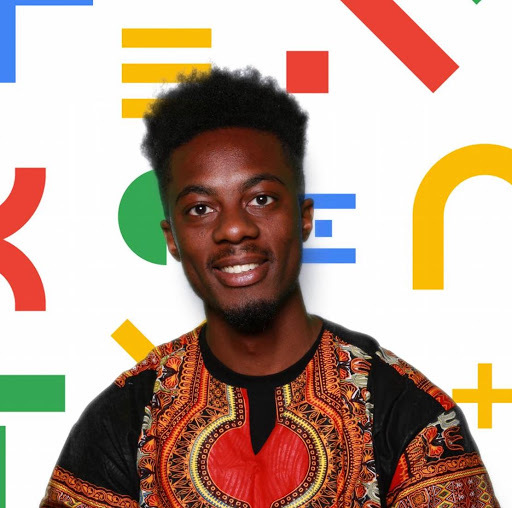 In honor of Black History Month, Google hosted a Pay It Forward Challenge to recognize Black student leaders who are advancing opportunities for their local communities. We ended up receiving so may great submissions that we decided to make this a three-part blog series. This is the final piece. We’re excited to share the work of the students below and hope you’ll be inspired by their stories. ICYMI, be sure to check out Part 1 and Part 2 of this post. 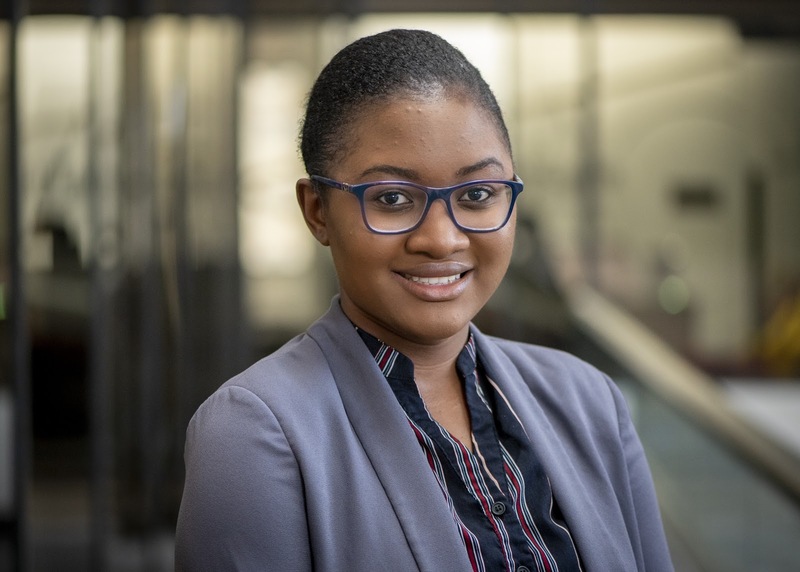 While studying at the University of Houston, Ayoola founded an online learning community for Black millennials, Blademy. Blademy helps ambitious Black millennials develop new skills in technology, media, finance, business and entrepreneurship. During their second year of studies at McCombs School of Business, The University of Texas at Austin, Ashley and DeAndrea saw an opportunity to promote diversity and inclusion in their MBA program and larger Austin community. They founded the Elevate Diversity & Inclusion Conference and used 100% of the proceeds to create a scholarship to support underrepresented candidates at The University of Texas. "Beyond actively participating in student organizations to promote diversity at McCombs, we decided to create a sustainable, long-term solution that would provide an annual forum for the University of Texas and Austin community to engage and learn about diversity, culture, and community. 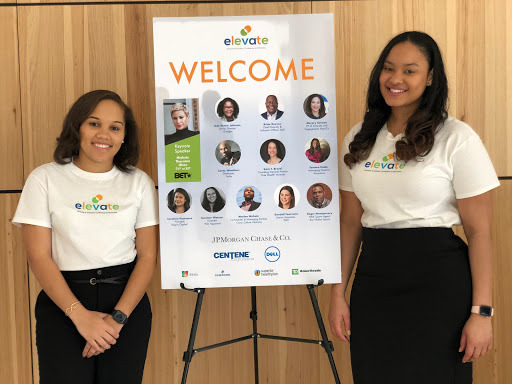 The Elevate Diversity & Inclusion Conference at McCombs was held February 8, 2019 and educated attendees on the impact, challenges, and future of diversity and inclusion for business. Attendees heard from distinguished speakers at Google, PepsiCo, Dell, Cross Culture Ventures, Kapor Capital and more. We hosted panel discussions on inclusion and innovation in tech, minority and women funding needs in venture capital and the importance of diverse talent having a seat at the table. Attendees left with concrete leadership strategies and tools that will advance the inclusion agenda across all spectrums." 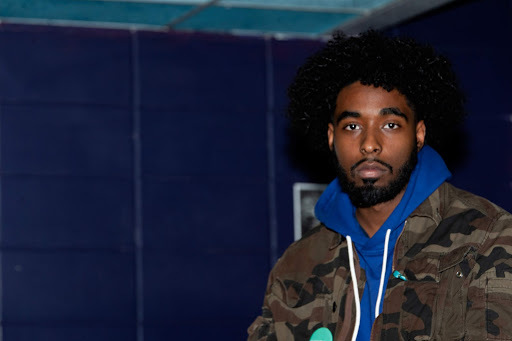 Motivated by his own experience with imposter syndrome during his sophomore year in college, Edward created a student organization, Code: Black, at The University of Maryland, College Park catering specifically to minorities in tech. Since it's creation Code: Black has now grown to over 100 members. "The first year was a tough one because I had no experience in creating and running an organization, so it was a lot of trial and error to the point where I had to get the help of my friends. Once I had my friends on the executive board, the organization was able to grow. The Computer Science department flew us out to AfroTech. We've had companies sponsor and give tech talks to our members. We teach elementary school kids how to code. Through Code: Black, we've created a community, given people opportunities to get internships, and created workshops to better prep our members for the outside world. This is just the beginning." 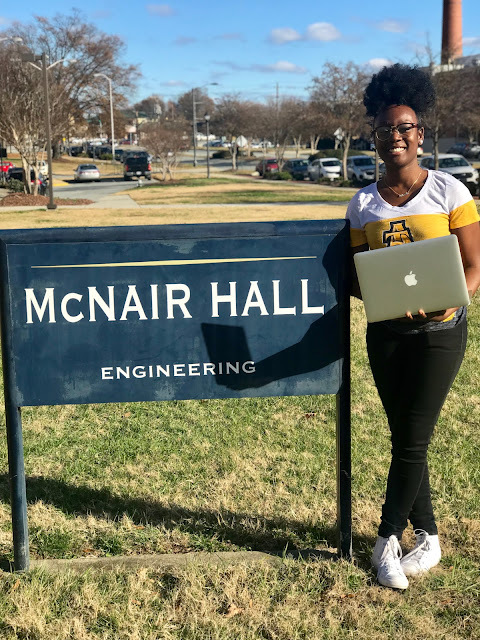 Oluchi is currently a student at North Carolina A&T State University and the co-owner of Janet Hope Alive, a non profit organization that equips Nigerian citizens with programing and entrepreneurship skills through hands-on programs and mentorship. “We aim to increase the quality of life for our students and increase Nigeria’s economic stability. Last year we were able to graduate over 400 students. That's over 400 students whose lives have been changed through our program and now the chairman of the community wants to adopt our program in twelve of his vocational schools. We’re bringing hope back to Nigeria." Charles is currently a student at Illinois College. 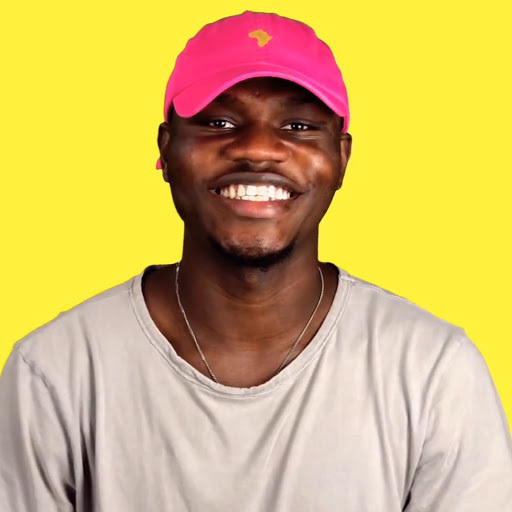 With his passion for public speaking and motivating others to achieve their goals, he created The Millennial Podcast, where he addresses topics in the millennial community including finding your passion. He is also the co-founder of Students of LinkedIn — a community with a mission to educate and encourage people from all walks of life to share their stories, build their personal brand, and get their dream internships/jobs. Charles has spoken at multiple events on the topics of digital literacy, collaborative thinking, and mentorship. 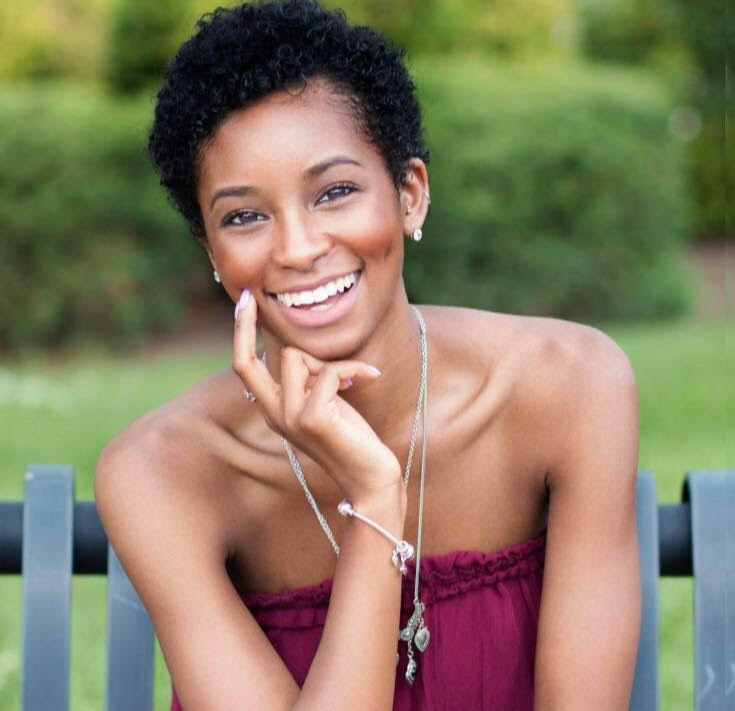 “My experiences and interactions with other college students made me realize that issues such as depression and not knowing your passion are problems many of us are faced with — so I began releasing weekly podcasts and videos to equip millennials with resources and tools to address these issues. I am passionate about educating, motivating and exposing my peers to the field of STEM and the limitless opportunities in the world." “Everyone can make an impact no matter where they find themselves. Three things that have been with me since I started all my initiatives include know your why, be persistent, and just do it." Keep up with us on social (Twitter, Instagram, Facebook, and YouTube) to hear more about our initiatives. This entry was posted in Student Blog and tagged Education, students on March 26, 2019 by Google Students. Applications for Google’s Computer Science Summer Institute (CSSI) and the Generation Google Scholarship close on Monday, Mar 18. Submit your application today! Ever wonder what it’s like to be a CSSIer? Meet Jonathan James Mshelia, Tarik Brown, and Kaycee Tate — three CSSI students from this past summer here to share their CSSI experiences and give any CSSI/Generation Google applicant (we’re lookin’ at you!) a better idea of what’s to come. Jonathan is currently a junior at Medgar Evers College. 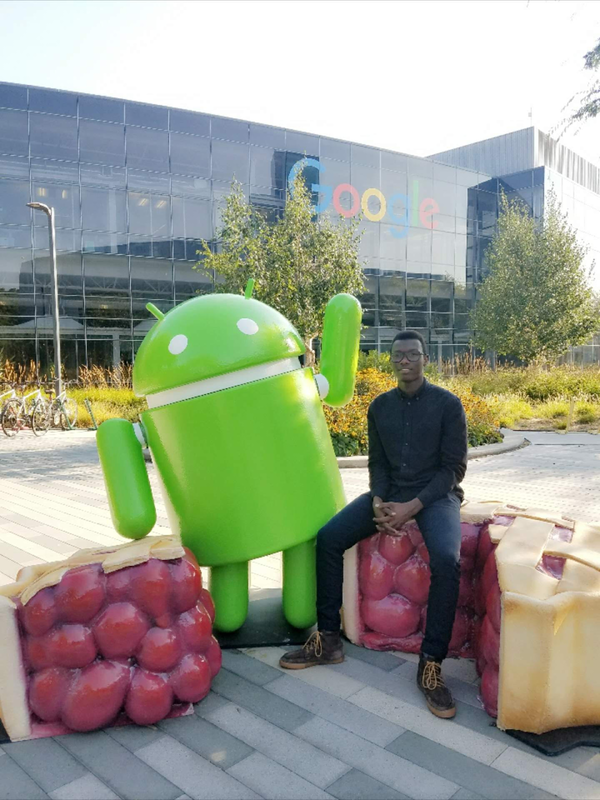 He grew up in Nigeria and moved to America to pursue an education in computer science. When he’s not glued to the computer screen, he’s usually hanging out with friends or learning a new language. Kaycee grew up in Alabama and is currently attending Xavier University of Louisiana. 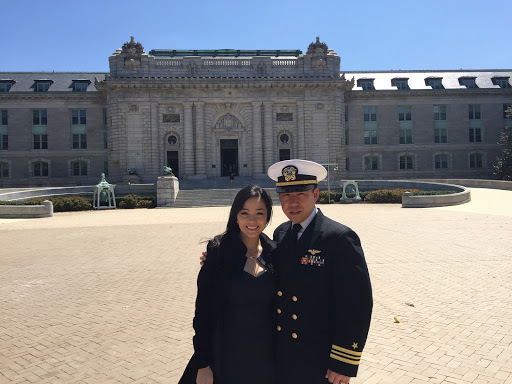 If she’s not studying for her double major (Computer Science and Computer Engineering) or working on campus, she enjoys quiet time reading, coloring, or researching things that interest her — currently it’s investing and digital currency. What motivated you to apply to CSSI? Kaycee: I knew that I wanted to expand my mind as much as possible before getting to college so that I was prepared — not only in actual programming and coding skills, but also in the ability to think creatively and share my perspective in innovative ways. I definitely believe that the CSSI experience gave me a chance to do that. Tarik: From as early as I can remember, I was always interested in how things worked. This inclination to enjoy knowing the inner workings of everything that I worked with steered me into the direction of the tech world and introduced me to Computer Science. 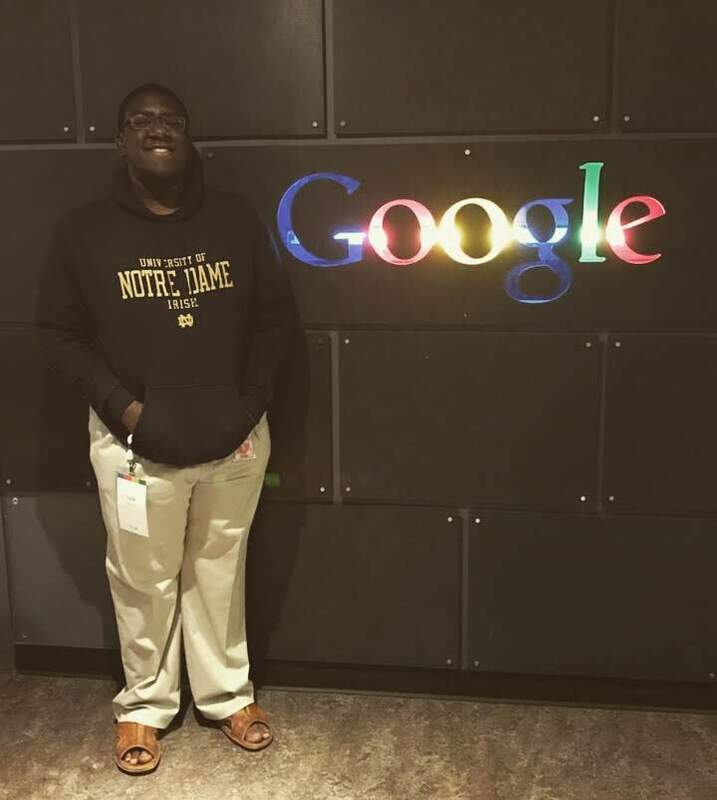 Jonathan: My passion for computers and my attitude towards learning were the driving forces behind my choice to join the Google CSSI program. Before CSSI, I only tried to learn the syntax of a programming language and I did not necessarily know how to apply what I learned to make anything, but during the CSSI program I put these programming languages into proper use and I began to see it differently. What do you wish you’d known before you arrived at Google for CSSI? Tarik: A valuable lesson that I learned from Google’s Computer Science Summer Institute was that I am much more capable than I give myself credit for. Imposter Syndrome is real and it affects many, I wish I had known that there was no reason to doubt myself and CSSI definitely gave me a more positive outlook upon my ability and self worth. Jonathan: Upon getting started at Google CSSI I had some experience with a few front end technologies and that gave me the ability to learn more and improve my skills. The learning experience was fun so I never thought about wishing I knew more than I already knew. Kaycee: Before going to CSSI, I wish I had truly understood that it didn’t matter how much you knew about computer science and programming prior to the experience. Of course the FAQs and application mentioned that, but truly processing that and just hearing it are two different things. Can you tell us how the CSSI experience has impacted you? 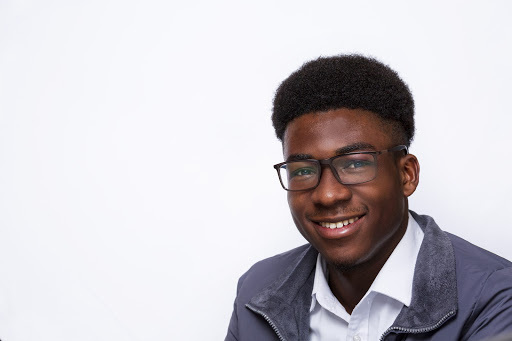 Jonathan: The CSSI experience opened my eyes to the possibilities technology has to offer. I now understand the internal workings of the web — how the front-end and back-end worked hand in hand to give a fully functioning website. This helped me at college because I was able to accomplish more in terms of applying my knowledge to school work. Kaycee: CSSI isn’t just about computer science — I feel like CSSI promotes the idea that to be good in anything you do, you first have to know yourself, what you’re striving for, and what you want to get out of every experience you are able to partake in. Reminder: applications for Google’s Computer Science Summer Institute (CSSI) and the Generation Google Scholarship close on Monday, Mar 18. Submit your application today! This entry was posted in Student Blog and tagged Education, students on March 13, 2019 by Google Students. 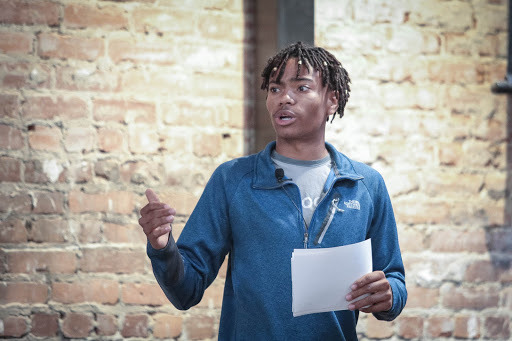 In honor of Black History Month, Google hosted a Pay It Forward Challenge to recognize Black student leaders who are advancing opportunities for their local communities. After receiving so many submissions we’re excited to share the work of the students below and hope you’ll be inspired by their stories. Stay tuned for more features over the next few weeks! Alongside teaching, Abdullaah also serves on the executive board for BU NSBE and the organizing board for the annual conference, BUNITED. 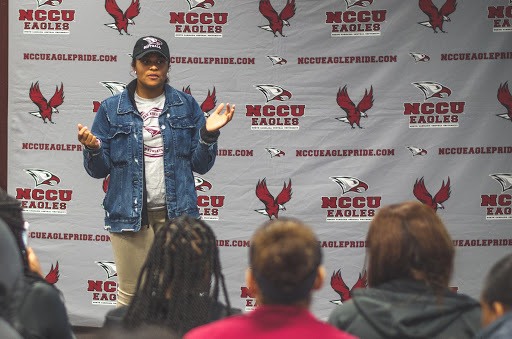 Miriam is currently attending North Carolina Central University where she dedicates her time to improving her community as well as the lives of her fellow student athletes. Miriam focuses on educating and empowering student athletes at her school and community centers by helping create internship and job opportunities for student-athletes and teaching the importance and ability to excel both as a scholar and athlete. George is currently a student at Menlo College. 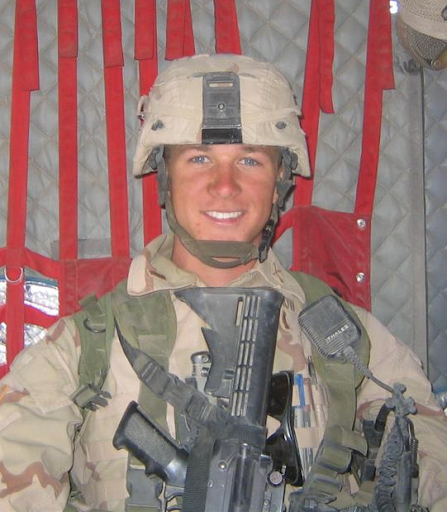 He uses both his technical and public speaking skills to aid and educate his community. 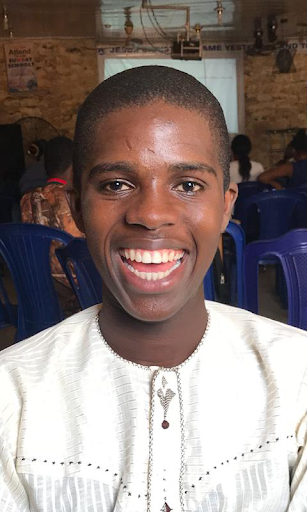 Kehinde is currently attending QueenMaris College and using the knowledge he is acquiring to give back by teaching classes to those who may not be able to afford them otherwise. This entry was posted in Student Blog and tagged Education, students on March 7, 2019 by Google Students. “Find joy in learning from your mistakes, knowing that it leads to growth. There is power in starting, failing at something, and learning from it." “As a community, it’s important to celebrate the sacrifices that our ancestors made. 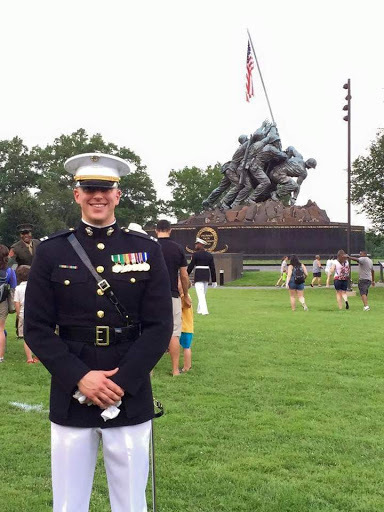 Sacrifices, that have enabled us to be able to do what we do/want to do with our lives. It’s important to be gracious towards those have made sacrifices for us - those from the past and those from the present. Growth equals success. As a community, we need to continue to grow and strengthen as we display black excellence and unity." Natsai is currently a student at Georgia State University. 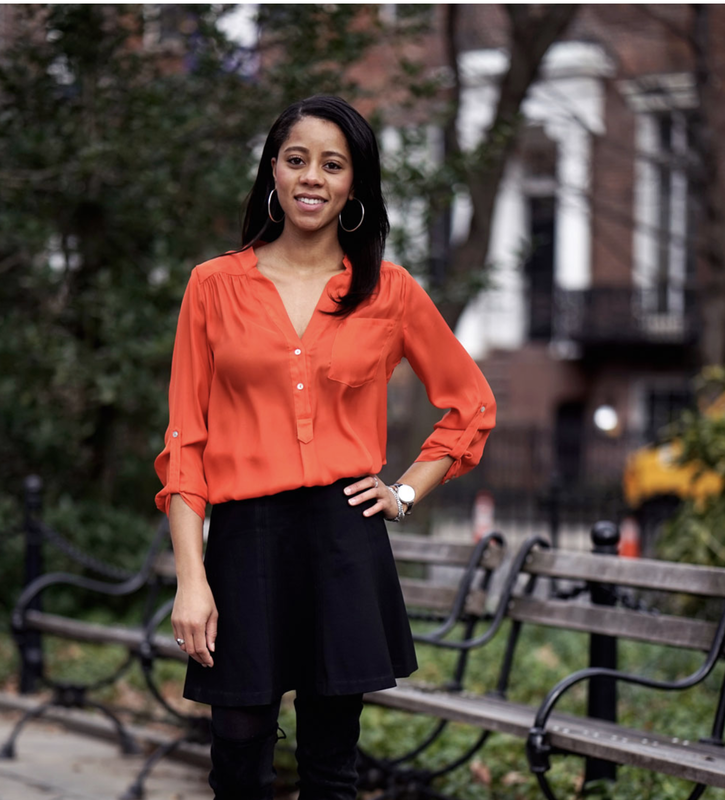 She is the co-founder of Our Journey Through Code and a mentor with organizations such as Girls Who Code and Black Girls Code. 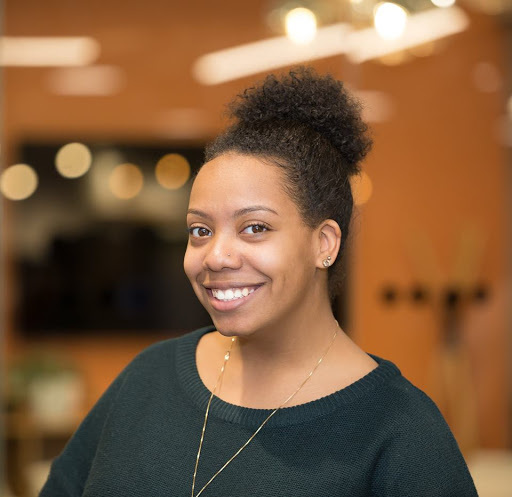 Natsai started her non-profit, Journey Through Code with a purpose of, “increasing diversity in technology, especially for women and underrepresented minorities." 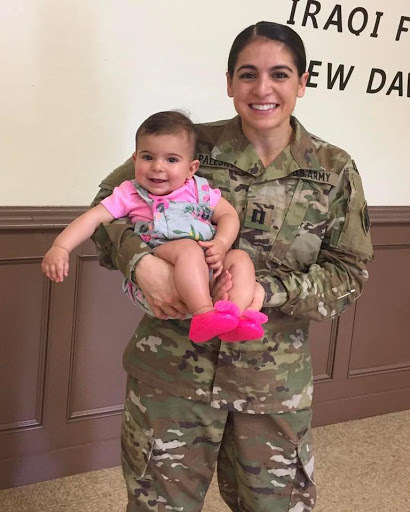 Alysa is currently pursuing her Doctoral degree in Psychology from the University of Chicago after recieving her Master’s in Public Health from New York University. Alysa has always had a passion for finding ways to improve health within underrepresented communities, including in her hometown of Detroit, MI. "Through these educational and professional experiences I have had the opportunity to engage in a collaborative and interdisciplinary approach to learning about contributing to social change and promoting health equity. Specifically, my passion for food and improving the world’s diet, particularly in minority communities, has influenced my interest in learning the different approaches communities take toward food policy, food culture, and health disparities. “Wise words I strive to live by are, 'make data driven decisions.' I would tell that person to do their share of research to make their dream a reality through decisions driven by data. Numbers carry weight and having others to bounce ideas off of and stimulate meaningful conversation goes a long way. Also when collaborating, engage the community. Educate and empower them, and strive for sustainability." Rayna is both a student and a teacher. 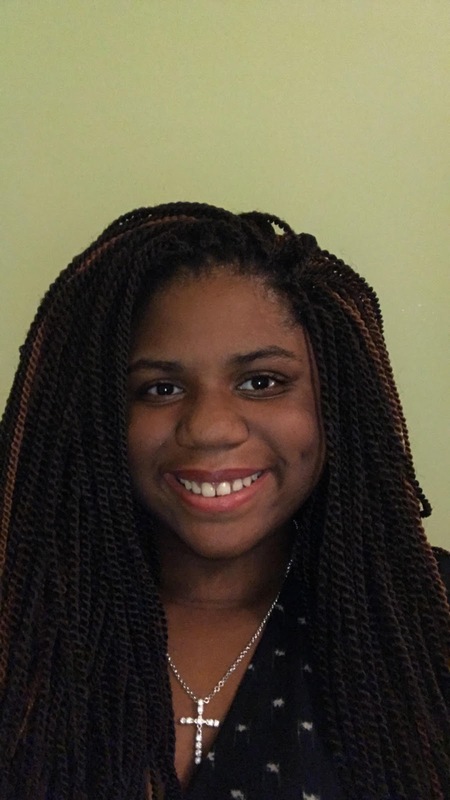 She is a high school biology teacher and a member of the Greater New England Alliance of Black School Educators while she simultaneously attends Central Connecticut State University. On top of that she volunteers at the Legacy Foundation of Hartford, a local food pantry. “I will use my postgraduate education to create generational change by disseminating my research in the community at large and investing in future teachers. Black History Month makes me reflect on the current realities of the world and inspires me to combat them in my classroom by teaching and furthering my own education. I will be the change this world needs by any means necessary." Saba is currently a student at the University of Maryland, College Park. On and off campus, Saba participates in multiple organizations. She is the founder of the Jeopardy! Club, a computer literacy tutor in BcauseIcan, part of the University of Maryland Black Student Union's Big/Little Mentoring Program, and an ambassador for the Academic Achievement Program. “At the Jeopardy! Club meetings, we invite not only students, but staff, faculty, and most importantly neighborhood/community members. It brings me great joy to be the president of an organization whose mission statement is to, 'commemorate the wealth of ALL of our knowledge!'" 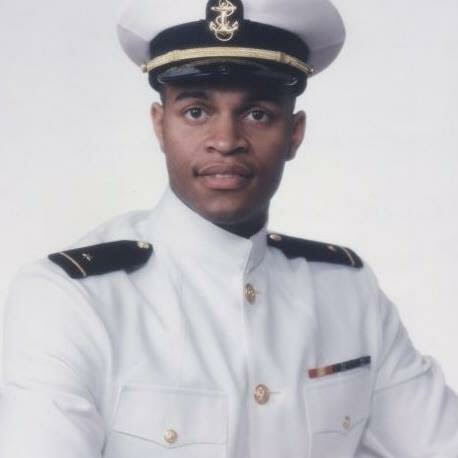 “Something on my mind as we enter Black History month is how to better combat stereotypes against minority groups. So far I've just been trying to work as hard as I can to be the opposite of what people think I am. As a young black woman, I've gone to college, held countless jobs, and work to support my family as well as myself while staying hopeful." This entry was posted in Student Blog and tagged Education, students on February 28, 2019 by Google Students. Opportunities are live for the 2019 Computer Science Summer Institute (CSSI) and the Generation Google Scholarship (both available to graduating high school seniors in the US or Canada). Learn more about both programs below and apply before March 18! 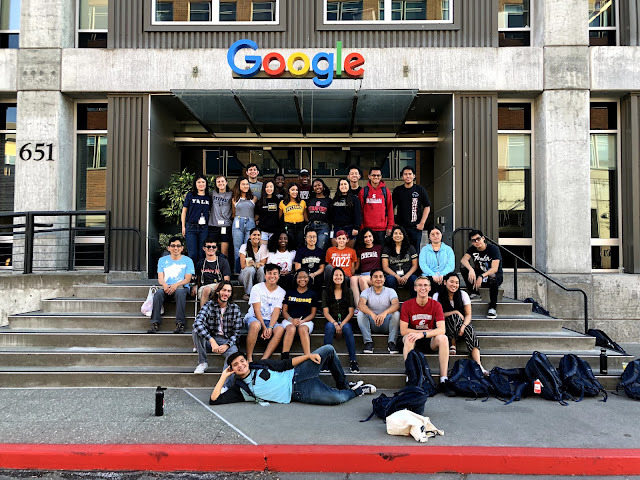 Google's Computer Science Summer Institute (CSSI) is a three-week introduction to computer science (CS) for graduating high school seniors with a passion for technology — especially students from historically underrepresented groups in the field. 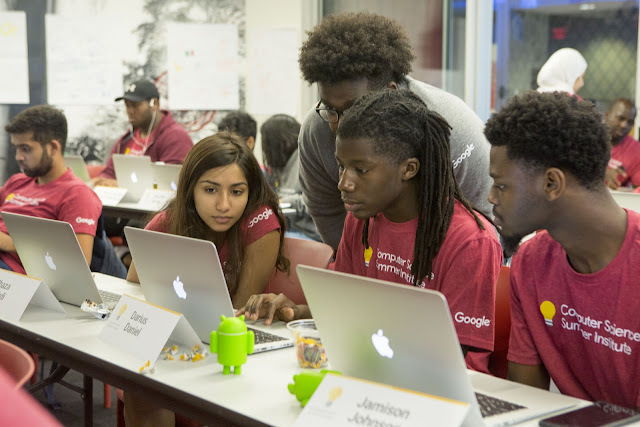 The Generation Google Scholarship helps aspiring computer scientists from underrepresented groups excel in technology and become leaders in the field. Selected students will receive 10,000 USD (for those studying in the US) or 5,000 CAD (for those studying in Canada) for the 2019-20120 school year. Please note, only CSSI applicants will be considered for the Generation Google Scholarship. We offer several options for CSSI depending on where you may be attending school. You can find more details on location here. Most of our programs run from June - August 2019. Any high school senior who plans to attend a four year institution in the US or Canada, has a passion for technology, and intends to enroll in a computer science, computer engineering, software engineering, or related department for the 2019-2020 academic year. Google is committed to increasing the enrollment and retention of students in the field of computer science. CSSI is not your average summer camp. It's an intensive, interactive, hands-on, and fun program that seeks to inspire the tech leaders and innovators of tomorrow by supporting the study of computer science, software engineering, and other closely-related subjects. Visit the Google CSSI page for more information and to apply. The application deadline is Monday, March 18 at 11:59 pm PST. Final decisions will be announced in mid-to-late May. Give us a shout at cssi@google.com or generationgoogle@google.com. This entry was posted in Student Blog and tagged Education, students on February 5, 2019 by Google Students. Tip 1: Mark your calendars. Hash Code kicks off with an Online Qualification Round on Thursday, February 28th from 17:30 to 21:30 UTC. Top teams from the Online Qualification Round will then progress to April’s Final Round, hosted at Google Ireland, where they’ll compete for the title of Hash Code 2019 Champion. Check out last year’s Final Round highlights video to get a sense of the action! Tip 2: Form a team. To compete in Hash Code, you’ll need to form a team of 2 to 4 people. Your team can be made up of classmates, peers, coworkers, friends, strangers, or – a combination! No matter your team composition, be sure to connect with your team before the contest to talk strategy, preferred programming languages, and, of course, come up with an awesome team name. Not sure where to find teammates (or just looking to connect with other Hash Coders)? Join our Facebook group or Google+ page to connect with the Hash Code community. Tip 3: Get your team ready. Hash Code problems are modeled after real Google engineering challenges – and just like the problems that Google engineers tackle, there is no one right way to solve them! Instead, each round of the competition is designed as a battle of heuristics, meaning there isn’t a right or wrong answer. Hash Code’s optimization problems allow your team to approach the challenge in many different ways – and the best way to get comfortable with this type of coding is to practice. Use the Hash Code archive to hold a practice session with your team. Tip 4: Join a hub. Hubs are locally-organized meetups that allow teams to compete side-by-side during the Online Qualification Round. These meetups are hosted by fellow Hash Coders at universities, coworking spaces, and company offices all around the world. 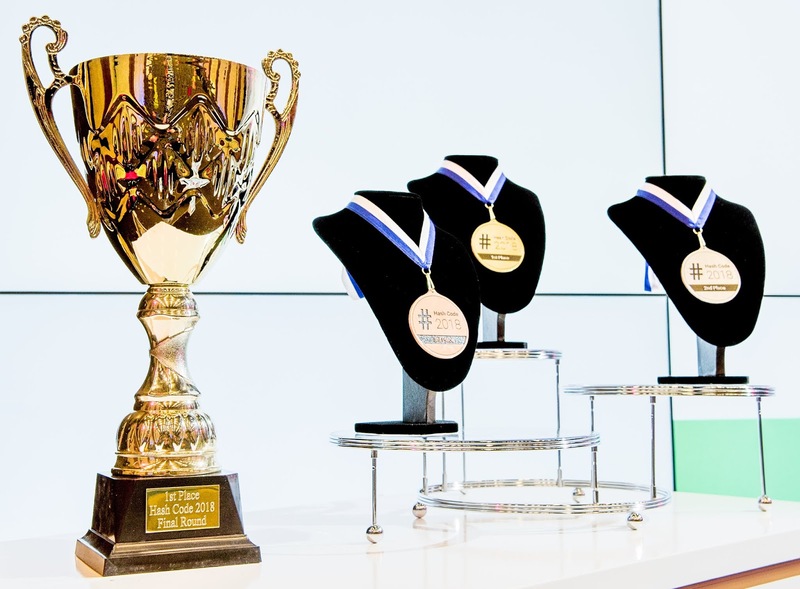 Competing from a hub adds even more excitement to the Online Qualification Round and is a great way to meet new people plus strengthen your local developer community. Check out hubs in your area and be sure to join one before they fill up. Think you might be interested in organizing a hub? Learn more and apply. Tip 5: Have fun. 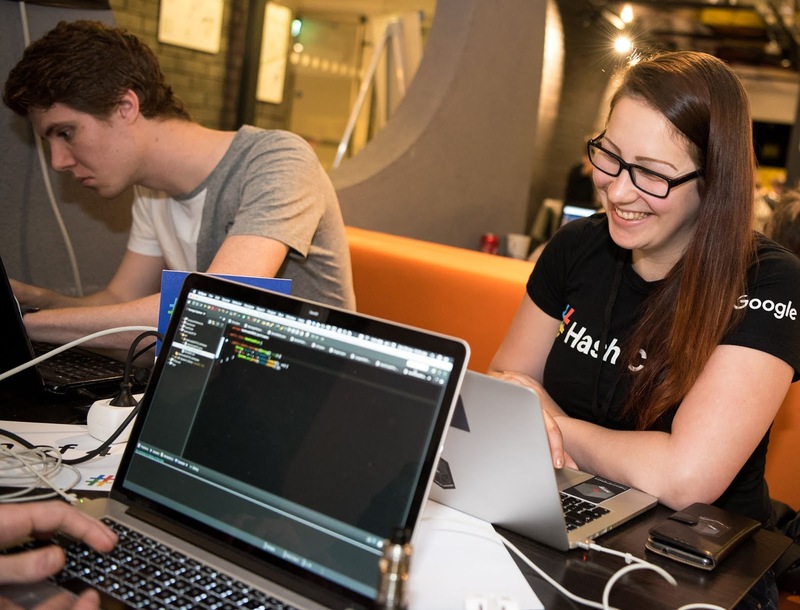 Whether you’re competing from a hub or from home with your team, or whether this is your first Hash Code or your sixth, the best part of Hash Code is the exciting, fun environment and community! 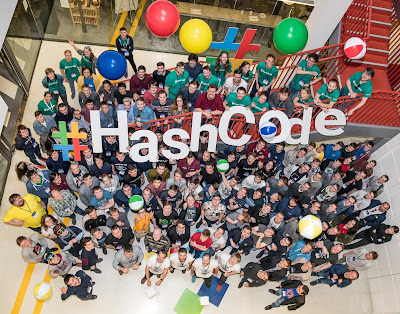 Show Hash Coders around the world how your team is getting ready for the competition using #HashCode on social media. If you’re up for the challenge, be sure to register at g.co/hashcode by February 25th. Follow these tips and who knows, maybe we’ll see you in Dublin for the Final Round! This entry was posted in Student Blog and tagged Education, students on January 22, 2019 by Google Students. Google offers a variety of opportunities for students who wish to gain industry experience. Through our "Getting to know a research intern" series, we provide a glimpse into some of these opportunities as well as the impactful projects research students work on at Google. Today we’re featuring Tomas Effenberger, Master student (now PhD) from Masaryk University, Brno, Czech Republic. 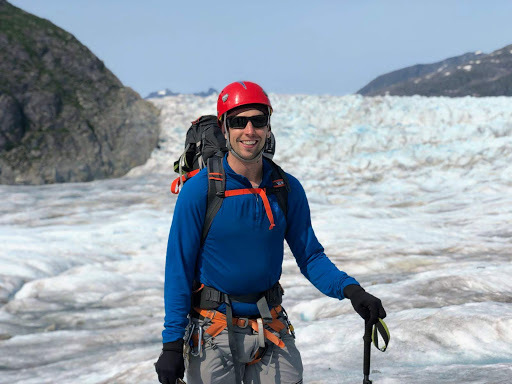 Tomas interned with our Brain Applied Zurich team. Read On! I am a member of the Adaptive Learning research group at the Masaryk University, Brno, Czech Republic. Our mission is to make learning more efficient and engaging by personalizing educational systems using artificial intelligence techniques. 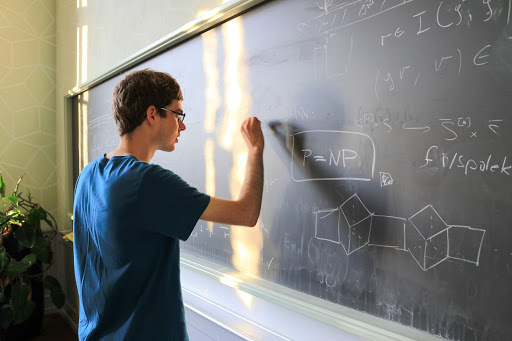 To achieve this mission, we research things like how to model students, how to reliably estimate difficulty of tasks, how to find optimal parameters for mastery learning, or how to deal with dangerous feedback loops and fairly evaluate adaptive learning systems. We develop applications that provide personalized learning experience by estimating students’ skills as they practice and recommending them tasks of the optimal difficulty. Suitable challenges, neither too easy, nor too difficult, help the students immerse themselves into the problem solving activity and achieve the state of flow. We provide teachers with tools that help them be more impactful. We focus on automating the activities that are either too boring, too difficult, or even impossible for teachers, such as giving immediate personalized feedback on students’ homework. That gives the teachers time to prepare more sophisticated learning activities that couldn’t be performed well by computer tutors – for example a complex game followed by a guided reflection. In addition, we develop tools that help teachers understand better the current skills of all their students. I like to think about our mission as giving teachers super-powers. No matter how good machines are, there will always be a place for teachers – though hopefully their jobs will be more fun and less frustrating than today. I strongly believe that improving education can have a huge and positive impact on the lives of every person on the planet. Every child spends many hours learning nearly every day, and the process of learning is often experienced as either boring or frustrating. By making the learning more efficient and engaging, we can help the students become happier and more skillful. That is why improving education is such a strong leverage point: happy and skillful people are likely to lead advances in all other aspects of our society – including improving education even further! During my master studies at Masaryk University, I learned many useful tools that can help me on my life mission to advance personalized learning. Research on adaptive learning is a sweet spot at the intersection of what I consider important (improving education), and what I am good at (computer science and artificial intelligence). Why did you apply for an internship at Google? I had not worked as a software engineer before and I realized that I was lacking some essential skills for an efficient development of complex scalable adaptive learning systems. 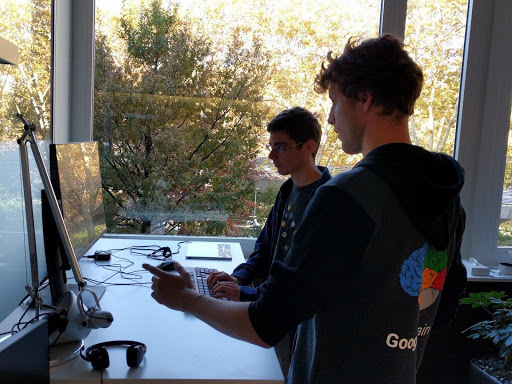 Interning at Google was a great opportunity to learn best practices from top software engineers and to see how machine learning can be used at scale. What project was your internship focused on? I worked under Quentin de Laroussilhe from the Brain Applied Zurich team to make state-of-the-art image dataset augmentation easily accessible to anyone inside and outside Google. A more high-level goal of my effort was to improve the quality of machine learning models by a combination of three concepts: data augmentation, meta learning, and transfer learning. Data augmentation is a powerful technique for improving generalization. When training a machine learning model, the more data you have, the better performance you can achieve. By applying random distortions to the training data you already have, you can create new artificial training data. For images, those distortions can be random crops, rotations, increasing brightness, etc. Since image augmentation includes many parameters, researchers at Google developed an algorithm called AutoAugment that searches for the best augmentation policy using millions of labeled images. This technique of learning an architecture and hyperparameters is referred to as meta learning, or learning to learn. Reusing components learned on one task to solve new tasks is called transfer learning. I have released several image augmentation policies, and published them on TensorFlow Hub, allowing anyone to import and use them in the TensorFlow graphs of their models. We have also incorporated the image augmentation policies into a meta-learning framework that can now jointly optimize the choice of the image augmentation policy and architecture of the model. How closely connected was the work you did during your internship to your research topic? The focus of my internship project was much broader with the goal to advance machine learning in general. Nevertheless, machine learning is one of the main tools that is used for adaptive learning. It was inspiring to see how various machine learning techniques and state-of-the-art tools are used at Google to tackle challenging problems that share some common aspects with adaptive learning. This is already your second internship at Google. What were the reasons to come back? I wanted to further develop my software engineering skills while working on research projects that can make the world a better place, at least transitively. After my first internship, I knew that Google was the perfect place for this. I received a lot of open and actionable feedback and I was not afraid to make mistakes, because I knew that they will be taken as great learning opportunities. Engineers at Google are passionate about their work and have a clear vision of what they want to achieve, why they want to achieve it, and how they will do it. Even more importantly, they know how their work relates to the core values and mission of the company. 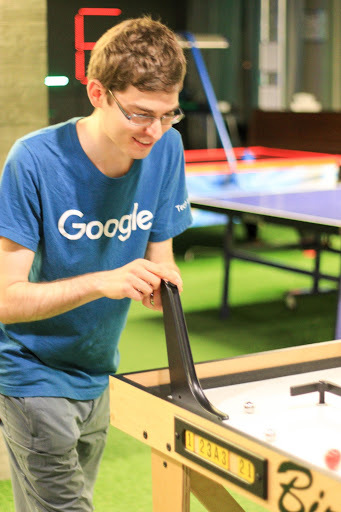 What key skills have you gained from your time at Google? I have definitely improved my coding skills, especially through code reviews and pair programming sessions. I also had plenty of opportunities to practice data analysis, build machine learning models, and evaluate them properly. Last but not least, I think I quite considerably improved my communication skills, thanks to my host who pushed me to collaborate with many people both inside and outside our team. What are your next steps? What is coming next after the internship? I am now back to Brno to conduct a PhD in the Adaptive Learning research group at the Masaryk University under the supervision of Radek Pelanek. My main focus is on adaptive learning of introductory programming, which is a topic that I have already started to explore in my master thesis. I have developed a web application for learning the basics of programming that combines several strategies to support learning and motivation, such as using drag-and-drop blocks to build programs, visualizing their execution in a game world, and recommending the next suitable task. Despite focusing primarily on learning programming, I also plan to explore more general methodological aspects concerning the development and evaluation of adaptive learning systems. I will strive to make my research readily applicable and helpful in existing large-scale educational systems such as Khan Academy. This entry was posted in Student Blog and tagged Education, students on December 20, 2018 by Google Students. This entry was posted in Student Blog and tagged Education, students on December 8, 2018 by Google Students.